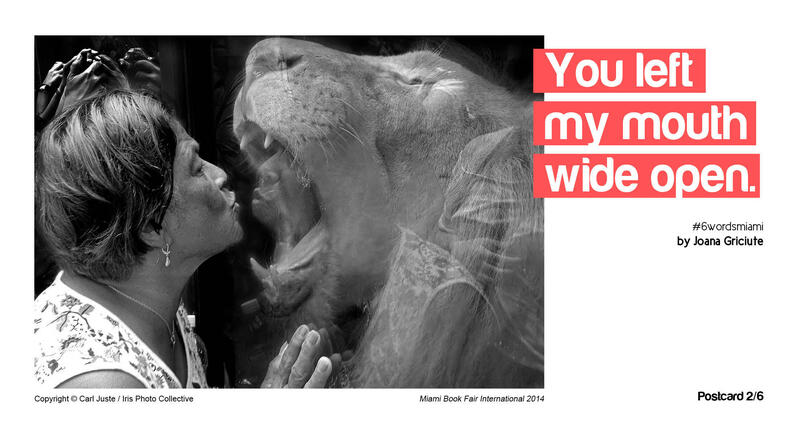 The Miami Book Fair International, in partnership with WLRN, asked for your six-word Miami-influenced stories. Now, after reading more than 4,000 entries, the pile was narrowed down to six finalists. 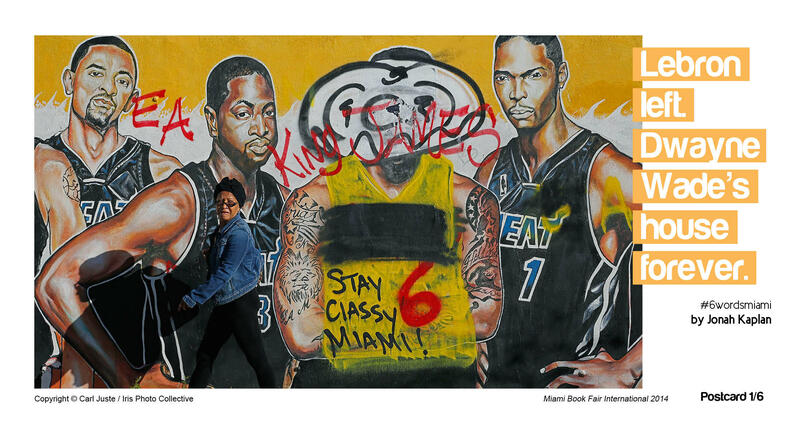 Those six were selected and printed as a limited-edition postcard set, combining the #6WordsMiami stories with original photographs by award-winning Miami Herald photographer Carl Juste. 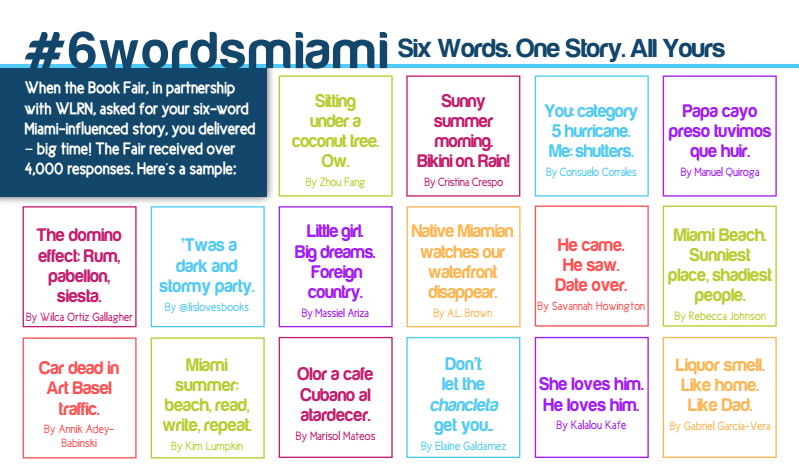 On Nov. 19, #6WordsMiami writers joined WLRN's Alicia Zuckerman at The Swamp to share their six-word stories. 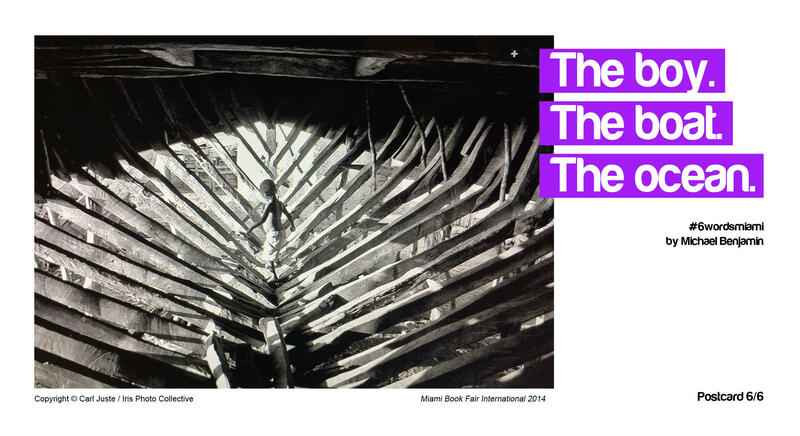 Scroll down to see the set of commemorative postcards. 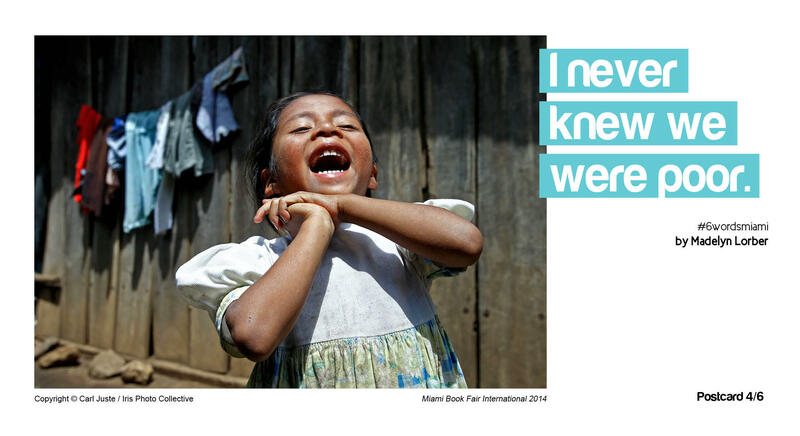 Copyright by Judy Blume and used only with her written permission. Not to be further reproduced or distributed except with her permission. 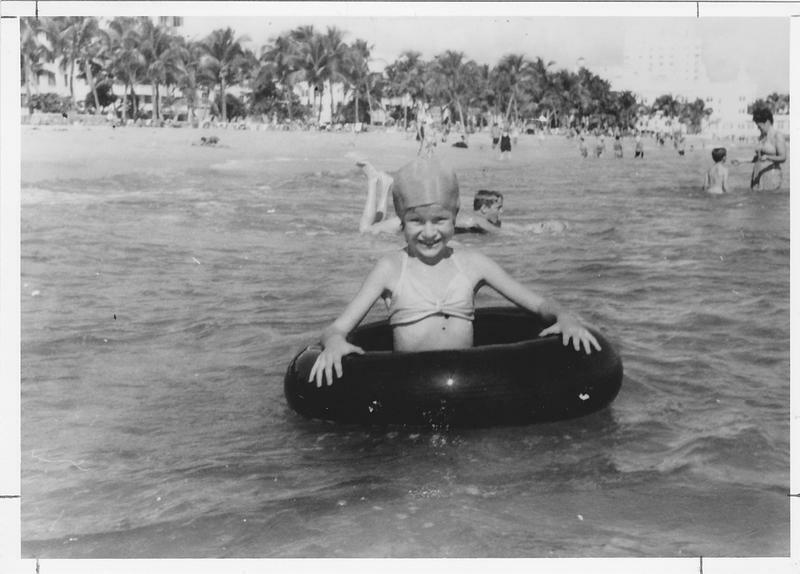 When I was in elementary school, I wrote an "autobiography" called "I Want to Be Like Judy." It had a pink construction paper cover and came in second in the school library contest. I never imagined that 30-something years later, Judy would say to me, "Let's take a selfie!" (See our virtual tour - link below.) I loved all her books, but "Starring Sally J. Freedman as Herself" was one of my very favorites. I read it over and over. Ten times? Fifteen? South Florida knows how to throw a party. And it better, considering how important hospitality is to the regional economy. From conferences and conventions to fairs and festivals, the event business picks up as temperatures up north drop. 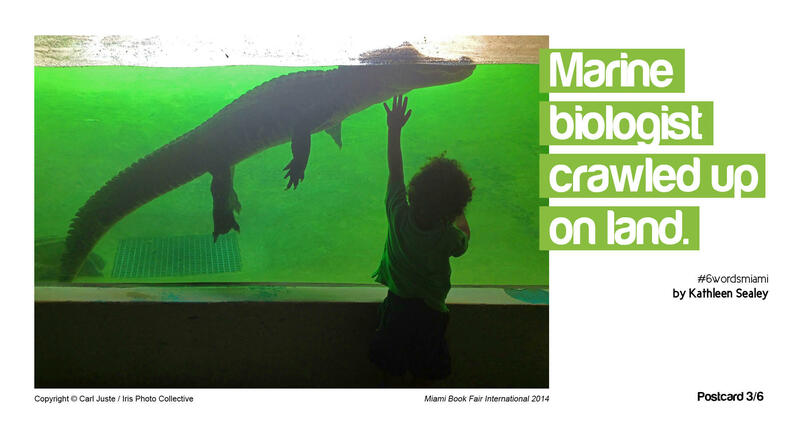 Some are for out-of-towners exclusively, others celebrate South Florida for South Floridians. 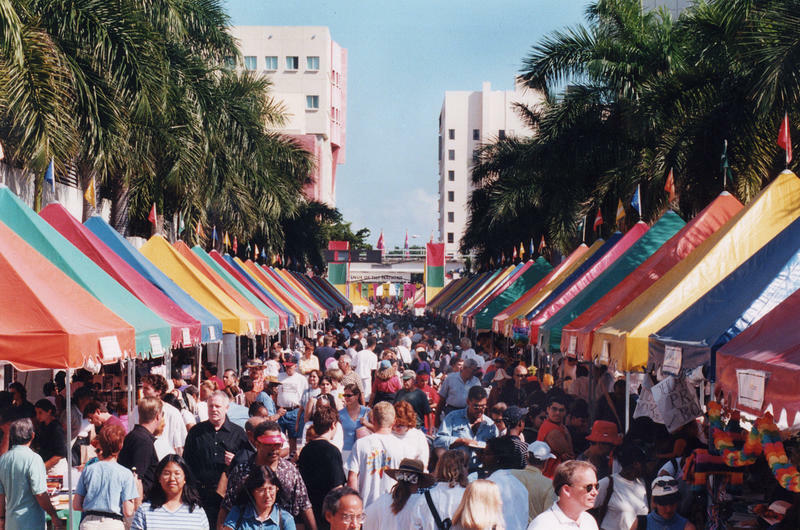 To get a sense of the economics and local emotions involved, The Sunshine Economy spoke with the driving forces behind four big events that dot the South Florida map.